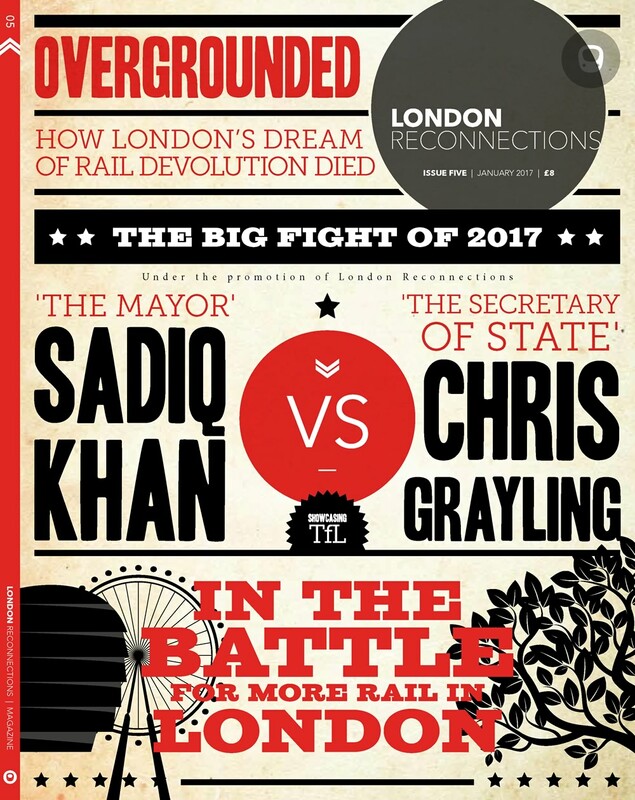 As we covered in our look at Crossrail’s upcoming off-peak service, when talking about frequencies on London Underground (LU) it is an almost inevitable fact that minds concentrate on the peak period services and the frequency of those services this is logical because, from the railwayman’s perspective, it is thought to determine the infrastructure and rolling stock required. It is also obvious that it is generally the peak period service that the long suffering commuter is interested in. However, the peak period only accounts for a relatively small portion of the day and only five days of the week. For other people, and there are many of them, it is the off-peak service that really matters. Despite that, whenever you see references to a frequency of service it is nearly always referring to the peak period. In order to focus on Crossrail’s off-peak questions, we kept detailed discussion of off-peak elsewhere on the TfL network out of that piece. Here, we look at it in more detail. As we mentioned in our article on Crossrail, something that appears surprising in modern rail planning is that various factors such as cost, infrastructure required and various other things are worked out by considering the three hour morning peak and then using standard multiplication factors for other times of the day. As we have also seen, such an approach may crudely work for typical National Rail type scenarios but, as we move more and more to a 24/7 style society, this is becoming less and less appropriate for a city such as London and the London Underground. The off-peak service increasingly needs to be seen as a separate issue from the outset and not just something that can be sorted out once the difficult scenario of the peaks has been solved. Over the past few years we have had a noticeable, but patchy, improvement in peak hour frequency on various lines with further improvements due over the next few years. At the same time there has been quite a dramatic improvement in off-peak services. This is true for Monday-Friday and possibly even more so on Saturday. The nature of Sunday services has changed significantly so that Sunday is not so much a quiet day but very similar to Saturday. For many lines the only thing different about Sunday is that the trains start later in the morning and finish slightly earlier at night. One characteristic of Sunday used to be that quite a few stations were closed. Nowadays the only remaining LU station that does close on a Sunday is Cannon Street. This is entirely for historical reasons and in recent years London Underground has come under quite a bit of pressure from both passengers and Southeastern Railway to end this outstanding anomaly. The situation does seem to be completely untenable given that Cannon Street National Rail station itself is nowadays open on Sunday. It is generally the case that on the Underground we can consider the off-peak service as an entity, as the off-peak service on most lines is the same throughout most of the day and does not vary depending on what day of the week it is (there is one very notable exception to this). Even when there is a variation between days of the week it tends to be very slight. As Underground lines get upgraded the improved frequency of trains tends to be quite substantial. This is impressive in the peak but even more impressive when one looks at the off-peak service. This is especially true if one compares it with the situation that historically existed. A knock on effect of an off-peak increase in frequency is that, even if one wanted to, it becomes very difficult to terminate trains short of the ultimate terminus unless there is a suitable bay platform. This is because the time available to terminate a train is now insufficient in order to carry out the necessary procedures without delaying the following train. This is often true even if an exemption is given to the requirement to check that no-one is left aboard the train. The difficulty of terminating an Underground train at a station other than the end of the line is less of an issue in the peak period because many peak period passenger journeys actually start at the outer ends of the line so the desire to terminate trains short of the end of the line is suppressed. Off-peak passenger demand tends to show a different pattern. The closer a station is to central London, the greater the number of off-peak passengers in relation to the peak period total. As the numbers tend to thin out with distance from central London there is the appearance of service over-provision at the extremities of some lines. In fact, running trains off-peak all the way to the end of the line is not only to some extent unavoidable with the existing infrastructure, but it often turns out to be no bad thing. This is because the marginal cost of providing a good off-peak service is outweighed by the social benefit (time saving to passengers) and it takes surprisingly few people per train to produce a net benefit in the off-peak period. There can be a point reached where the off-peak service provided to the end of the line is beyond anything that can be reasonably justified and Stanmore is a case that is often cited as an example. The over-provision of off-peak service to Stanmore happens because there is just nowhere practical to terminate the trains before they get to Stanmore – as described in great detail by Mike Horne. How frequent should the off-peak service be? In the past there was effectively no constraint on running the off-peak service and it was basically run as frequently as thought required. This was always presumed to be less than, or exceptionally equal to, the peak frequency. A notable exception to the notion of the peak frequency being as good as or better than the off-peak used to occur on the Circle Line in the days when it ran in a continuous circle. This was, however, entirely due to operating expediency and had nothing to do with passenger demand being greater in the off-peak. We now have the situation where the peak service is effectively capped on most lines by what it is capable of providing. We also have many more off-peak travellers and the numbers are set to increase as the population of London increases. In addition to all that there is the expectation that travelling conditions off-peak are not as bad as in the peak with a reasonable expectation of a seat for longer journeys. Increasingly people also now often take the Underground for travel as part of their working day e.g. to visit clients. This takes place during the “inter-peak”. The inclusion of this group amongst the inter-peak passengers is particularly significant because, as we have mentioned before, the value of their time for benefit-cost analysis purposes is assessed as working time and not at the lower rate of leisure time. We also need to be cognisant of the fact that the peak period is not necessarily sustainable. That is, it can be run at a high frequency for a short period of time but cannot be kept up indefinitely. Heat build up in the tunnels is one issue, but heat build up can also be an issue in electrical substations which may well have a higher “one hour rating” (which is their maximum electrical load) than their “continuous rating” (which is a load that can be maintained indefinitely). Other possible reasons why the peak frequency may not be achievable for an extended period include the need for a ‘breather’ to recover from any accumulated delays and the need to set aside some time in order to maintain the rolling stock. Although the peak service may not be fully sustainable one has an incentive to provide a frequent service before and after the high peak to attract those who can be flexible as to exactly when they will make their journey. There is also the fact that drivers have to be employed for a full shift and one may as well run the trains as the staff are there anyway. Of course, if you do not have any staff on a train then this issue goes away but then if you do not have any staff on the train you have taken away one of the main costs in providing an off-peak service so the incentive to run a frequent service is all the greater. Should there be a difference in service in between the peak and off-peak hours? Or should London Underground be expected to run as many trains as they reasonably can for large parts of the day? If it was decided that the peak frequency was desirable in the off-peak period but really was not sustainable then should a service be provided in the off-peak that was almost up to peak service levels but sustainable (say around 90% of the peak frequency)? Should there be a distinction between the inter-peak and other off-peak periods? If it would make sense to provide a more intense inter-peak frequency than at other off-peak times then would it make sense to effectively run a peak timetable all day from early morning to early evening Monday-Friday? With the above in mind let us take a brief look at the individual lines and what off-peak service they provide, what plans there are in the future and any limits to growth. It makes sense to consider the Subsurface Railway (SSR) comprising of the Circle, District, Hammersmith & City and Metropolitan Lines as a single entity. Because of its numerous branches and the operation around the circle, it is unusual in that the frequency into the suburbs tails off quite substantially and is considerably reduced compared to the north, east and southern sides of the circle – with apologies to geometrists who might find that statement rather puzzling. If all goes according to the rather optimistic plan, bearing in mind the cancelling and planned re-letting of the signalling contract, then by December 2018 the greater part of “the circle” will be providing a 24tph off-peak service. This is 75% of the peak service and this 75% figure is almost replicated on the branches. For the Watford Junction branch it will be 100% and, exceptionally, between Whitechapel and Barking it is expected that it will only be around 56% of the peak service as it is presumed that peak-period Barking terminators will terminate at Tower Hill off-peak. Off peak frequencies past, present and future on the Subsurface Railway between Baker Street and Aldgate. There is one small improvement expected on the SSR by the end of this year – an increase of 3tph of the number of Metropolitan trains that will run off-peak between Baker Street and Aldgate The TfL draft budget rather enthusiastically describes this as “50 per cent more tph to Aldgate”. In reality though this is not a big deal. The overall frequency between Baker Street and Liverpool Street actually went down when the Circle Line was re-organised – by 3tph. The proposed 3tph Baker Street – Aldgate improvement seems to be a very cautious move. It would seem more logical to increase the service by 6tph to make a total of 12tph to fit in with the 6tph on both the Circle and Hammersmith & City along the same track. This would provide a modest increase in service level above that of 2009 which would probably be in line with the increased number of passengers. Maybe a further 3tph improvement will happen in the not too distant future. Indeed one wonders if, once the S stock is delivered, the proposed 2018 SSR off-peak service could be delivered earlier as it should be possible to run the service without waiting for the signalling upgrade. The SSR is home to a quirky short line that is the antithesis of normal operation and for all practical purposes only runs at the weekends. This is of course the Olympia shuttle. This does provide a very good example of why you cannot just plan your peak service and presume that it will be good enough just to provide a slightly reduced peak service at other times. The Bakerloo Line is a relatively quiet line. It does however serve the West End and its shops as well as Paddington which is a London terminus less characterised by peaks than most. Whilst one would not expect a great variation between peak and off-peak service it is surprising just how little a difference there is. The peak hour service is currently around 22tph and the off-peak is very similar at 20tph midday Monday – Friday and only marginally less on Sunday (around 18tph). It is believed that there is no spare stock on the Bakerloo and it is also said that the current timetable has had to be hastily written because of a depot accident with one of the trains. One cannot really see the off-peak service getting better than it currently is for many years to come as it is generally desirable to have a slightly reduced service off-peak to allow for train maintenance during the day. This need for daytime maintenance is probably more true for the Bakerloo Line trains than for those on other lines due to the age of the trains and lack of any spare trains. The Central Line already runs a 24tph service off-peak which is currently as frequent as any line. Given that it is ATO (automatic train operation) it should be perfectly possible operationally to increase that to 27tph should there be a demand to do so but no plans to improve the service are known about. One of the reasons why LU might be reluctant to do so, even if the demand were there, is because the 1992 stock trains aren’t the most reliable and may already need a bit of tender loving care to get them to last until around 2030. A further reason for not currently running or planning to run 27tph on the Central Line is that further off-peak frequency increases may depend on schemes implemented to cool the air in the Central Line tunnels. As a tube heat map published by TfL in 2009 shows, the Central Line has by far the worst problem of excess heat – the penalty of being one of the earliest deep tubes combined with a current day high frequency of trains. BSSC would be required for both 34tph and 36tph options since one of the main drivers for the increase in temperatures is the 27tph inter-peak service proposed for both scenarios. This reference only refers to the “inter-peak” but given the way London’s population is increasing and the popularity of the Jubilee Line it would not be surprising if this applied to the weekends as well by the time the relevant timetable were implemented. We have covered various aspects on the Northern Line on many occasions. The message has generally been that demand is there but the capacity isn’t and the crux of the problem is the junctions at Camden Town. Because of those junctions, even after ATO, LU will not quite be able to manage 24tph on each of the central sections in both directions in the peaks. The problem is that one would have thought both sections would justify 24tph apiece even in the off-peak – especially as the trains are only 6-cars long. LU has not published its proposed off-peak frequency after the signalling upgrade is complete in 2014. It is currently around 15-16tph which does seem on the low side for a line that takes one to the heart of London’s West End or City. One can expect improvements but probably not up to the same frequency that is operated in the peak. The Piccadilly Line has an interesting and non-typical off-peak service. It also shows the limitations on a tube line. A few years ago a determined effort was made to improve the peak period service. The problem was that without ATO there really was no extra capacity to be had and it was eventually conceded that the service would run better if the over-optimistic attempt to improve the frequency was abandoned. Presumably this means that there are currently spare trains that cannot be utilised. The current peak service on the Piccadilly Line is 24tph. The off-peak service is already 21tph and so is barely perceptibly different from the peak service. This would also tend to suggest that if the peak service was considerably improved it would still be full up. One can understand why London Underground are so keen to upgrade the Piccadilly Line. During the off-peak period, new timetables will allow […] and weekend services on the Piccadilly line will also increase. From May 2014 there will be 24tph on Saturdays between 12:00 and 19:00, compared to 21tph today. One reason why the Piccadilly off-peak service needs to be so frequent is that the Piccadilly Line serves Heathrow Airport which is no respecter of railway peak periods. It might be worth bearing in mind that in December 2019 when Crossrail is fully open one can expect that the Piccadilly peak service would still be 24tph and the off-peak at least 21tph. Indeed, given that it will run at 24tph for a substantial period on Saturday, it is not inconceivable that in the future the service on the Piccadilly Line will no longer distinguish between the peak and off-peaks and just run 24tph all day every day until relief finally comes in the form of the Piccadilly Line Upgrade in 2025 or possibly later. Given the same peak hour frequency and the fact that both the Piccadilly Line and Crossrail will serve Heathrow Airport, though admittedly with far fewer trains in Crossrail’s case, one wonders if the Piccadilly Line could actually provide a pointer to a reasonable level of off-peak service to be run on Crossrail. The Victoria Line that I knew and for quite a while worked on was a pig of a thing. It was being pushed well beyond the expectations set for it when it was built and was running a 2 – 2½ minute service, or about 27 trains an hour, in theory. Now actually it wasn’t being pushed beyond the expectations set for it but it certainly is true it was pushed well beyond what it was sensibly capable of providing – but that’s another story for another day. Today the Victoria Line runs 33tph in the peak and 24tph in the off-peak. In both cases a few of the trains only run northward as far as Seven Sisters. If all goes according to plan, we know from the latest TfL project monitoring report that by April 2016 there will be a 27tph off-peak service along the entire length of the Victoria Line – that is roughly a train every 2¼ minutes. Or to look at it another way, in just over two years time Victoria Line will be running a service on a Sunday for most of the day along the full length of the line that less than three years ago was all it could manage in the Monday to Friday peaks – and then only as far north as Seven Sisters. Furthermore it will be running a better service off-peak than the busy Northern Line, also by then equipped with ATO, and the equally busy Piccadilly Line can run in the peaks. Even the Waterloo & City Line has a better off-peak service than previously and now runs throughout the day on Saturdays. It is normally closed on Sundays but one wonders how long that will last. If one can justify opening on a Saturday it is difficult to see how the same argument cannot also be applied to justify a Sunday opening. Even if it could not be justified today, then surely as demand rises a tipping point will be reached. It does seem to be the case that we are getting to the point on the London Underground where the off-peak service is barely distinguishable from the peak service. As demand continues to grow it is probable London Underground will need to ask themselves some fundamental questions as to what off-peak service they can and should be providing. In future passengers will expect their Underground train to turn up more or less straightaway for most of the day – even if it is Sunday – in the same way that they do during the peak period. In the off-peak period they will also expect to be able to get on the first train that comes. It seems that there will be a further increase in off-peak frequency on various lines above that which was already known about. We have made the point before, but this goes to re-enforce the point that talk of driverless trains on the Underground is premature. For at least the next ten years the number of drivers needed is just going to go on rising. The Saturday off-peak frequency increase due to be implemented within the next two months will probably also make the idea of Unattended Train Operation even more attractive on the Piccadilly Line from 2025 due to the number of drivers that would otherwise be required throughout the day to operate the line. Next, in the final piece of this short series on off-peak services, we will take a short look at off-peak frequency on the London Overground, a line where the needs of TfL must already interact with those of Network Rail and others. We shall also look at the off-peak service on the DLR. I really need to know it the Piccadilly line runs faster now than it did in the mid 1980’s. Although, if the Working Timetable suggests trains are now slower, it may be because trains now run to the timetable rather than being hopelessly optimistic, as the timetable often was in the past. One of the issues affecting most of LU is that on all those lines where the rolling stock remains the same, station to station run times stay more or less constant but dwell times in the centre have climbed rapidly. This is particularly true of the Piccadilly, especially at weekends. Examination of the detailed train times shows a typical peak trip C’Fosters -Osterley taking 63 1/2m, so an additional 3 minutes. From using the service regularly both in the peak and off peak I feel the met line off peak service to Preston Rd and Northwick Pk are more frequent and reliable than in the peaks. It is common for more than 2/3 of the trains during the morning and evening peaks to run fast but during the day most services stop. I regularly have to wait 10+ mins for a train in the peaks never wait more than 5 mins off peak. So how many Victoria Line trains are stabled in the off-peak period? You need the top of page 4 of the Victoria line working timetable. 3) Stabled implies sitting doing nothing as not required. In practice the opportunity is made to do 48-hour exams and other maintenance work. 4) There are actually 47 trains so again the issue is what counts as stabled as opposed to being worked on and not available for service.